Where Can You Find Free PayPal Money? Think critically before taking at face value any promise of free PayPal money. Either you have to do something to earn the cash, or you’re looking at a scam. Unless a friend or relative is giving you a gift in the form of a PayPal transaction, you should assume that cash giveaways have some form of strings attached to them, even when the payment is conducted electronically. While you might not consider it a form of strings being attached to the cash awarded in a lottery, the fact of the matter is you have to buy that lottery ticket first — and the entire exercise raises funds for another cause. Many states’ lotteries fund educational programs along with public infrastructure. Offers of free PayPal money typically turn out to be programs that reimburse you for taking surveys or testing out new software. Many of these schemes also give you the option of receiving payment in the form of a gift card for online retailers, most comonly Amazon. That said, you would do well to be vigilant for a promise of free PayPal money to turn out to be a scam that might defraud you of money from your own PayPal account. 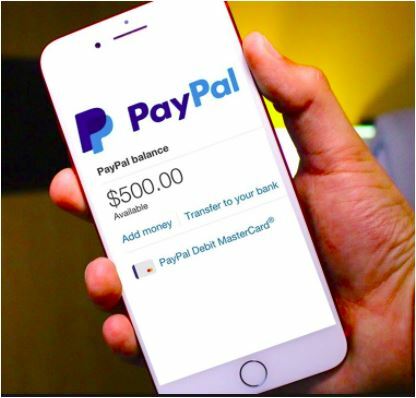 Protect yourself whenever you encounter a website asking you to log into your PayPal account in order to receive money — unless it is a merchant you are aleady transacting on and opting to pay or receive the funds via PayPal, don’t authorize any new entity to do so without doing your homework about its safety. Often the language “free PayPal money” is used by mobile apps and websites that try to entice people to take surveys or test software. PayPal is typically one of several incentive options offered, but the actual payment happens after a minimum number of tasks are completed. Some form of virtual points are offered in exchange for each activity, and eventually these points become redeemable for a PayPal cash transaction. Usually, you’ll receive emails notifying you that you have received a payment. to claim it, you need to log into your PayPal account and accept the funds. Here are five mobile applications (that also have websites) following this business model. AppNana boasts that it has already paid out $10 million in cash and gifts to users. This mobile app lets you earn credits toward PayPal by using apps and playing games — that cost other users money. Plus you can also earn gift cards from Amazon, Google Play, iTunes and Xbox. This mobile app and website allows you to accumulate points as you complete different offers sent to you. Once you’ve accumulated enough points, you can trade in your points for gift cards or PayPal cash. PrizeRebel has rewarded survey takers with over $11 million in cash and prizes since 2007 — the kind of track record that makes the outfit a reliable and reputable source of extra money. The name of this one describes the addictive nature of SurveyJunkie’s game-like user interface, which has attracted over 7 million people. Here you earn credits toward PayPal cash — or gift cards — by completing surveys. Both a mobile app and a website, Swagbucks lets you earn PayPal cash in $25 allotments, along with gift cards and other forms of prizes. You can get almost half of the way toward earning your first payout just by signing up — the app is offering a $10 bonus to new users. While the amount of time required to earn free PayPal money on these apps hardly makes them a substitute for a full-time job, they’re a nice way to accumulate petty cash in amounts that don’t require you to file tax paperwork in order to get paid. Readers, have you craved a way to score free PayPal money?